Our 2018 theme is “Connect” and my dear A.J. Brown wrote about “Community,” which seems just right: we live in community, we invest in community, we create community as we knit our heartstrings together. Please note: if you would like to guest post on this blog, please see the link above. When someone asks me to write an article or blog post about a certain word, I usually try to start with my knee jerk emotional reaction to that word. For example, when the owner of this blog asked me to write a post about creativity a couple of years ago, that was simple. My beautiful, unicorn and rainbow loving little boy exemplified the word and still does now. What does that mean to me? I think the reason this post was hard to write is that community means so many different things to me. The town I grew up in represented a community I couldn’t wait to get out of. Then, when I grew up and became a parent, I couldn’t wait to move back. I can’t imagine raising my kids anywhere else. It doesn’t just refer to a geographical area in which we live, does it? Not for me, anyway. Yes, I live in this community. I am part of this community. But, I am also part of many communities within this community, and that’s what I love about this community. In junior high and high school in this same community, I often felt like the odd girl out. I didn’t have just one posse of friends with whom I did everything and shared everything…I never felt like I belonged to any one group. I was more of a floater. Some months I gravitated towards the popular crowd and the other cheerleaders, other times I’d get fed up with the cattiness and take refuge with the quiet academics. Or, if there was a boy I was interested in (wasn’t there always? ), I’d hang around with the athletes. I got really good at being “one of the guys.” I could occasionally be found breathing second hand smoke in a van behind the school listening to “Stairway to Heaven,” or flaunting my impressively flipped bangs and perm at college parties when I was just sixteen. Some lunchtimes, I felt too insecure to join any group at all, and you’d find me in the library, or assisting a teacher. Looking back, I realize that what was so hard about those years for me was that I felt that I didn’t HAVE a community. I was just an occasional honorary member. I didn’t have the self-confidence to just…be. I could not wait to graduate, get the heck out, and finally discover who I really was. Fast forward several decades, and here I am, living in this same community, with a lot of the same folks who grew up here just like I did. Apparently this town breeds homing pigeons. The difference? Now this finally feels like MY community. This time around, I know exactly who I am and who I want to be. Furthermore, I truly don’t care who likes it and who doesn’t. Interestingly, while I’m a completely different person as an adult than I was as that corner hugging, cringing teenager, I’m still a floater. But this time, it’s not because I feel like I don’t fit in, it’s because I am blessed to feel like I fit in everywhere. Everything about this town makes me happy, and I adore all of the smaller communities that, together, make up this beautiful flower of a larger community. When I go to Starbucks in the morning, I love that I see the same faces, day after day. I don’t know many of their names, but they know my face and I know theirs and we greet each other with smiles that are genuine. I love the groups of older (than me, which is all relative) folks who commune there every single morning. They have an amazing community. I love that when I’m working out of Starbucks, as I often am because my home and office get lonely during the day, never a day goes by where I don’t see several people I know and whom I am genuinely happy to see. This silly little chain store coffee shop is a community all its own. Just as I’ve been sitting here writing this, I’ve been greeted by a teenager, several moms, a dear friend of a dad who happens to be working at “home” today, a newspaper reporter I adore for whom this is home base, a friend I went to high school with, and one of my favorite neighbors who’s treating her kindergarten son to a treat after a traumatic dentist visit. And that’s just in the space of an hour. I love that I can’t ever go to the gym without seeing at least one friendly face I know. I’ve been taking the same Friday morning spin class for several years now, and the group of people that show up with me, week after week, through good times and bad, is a community all its own. I love these people, and I love the pixie sized, tattooed sprite who inspires us and pushes us to the point where I’m not sure if I’m going to throw up or pass out, and yet afterwards I feel amazing for two days. I love that when I’m having a really bad week I can cry my way through class and no one blinks an eye, they just hug me when we’re done. I’m literally tearing up writing this just thinking about that group of people and how much they mean to me even though I really only see them once a week for an hour. That’s community. Our kids’ schools, of course, create their own communities. We’re so fortunate to live in a place where the parents work really hard to help make the schools great, and we are blessed with teachers and administrators who have passion about kids and education. It tends to be the same group of parents year over year who volunteer for everything, but instead of that feeling like a burden, to me it feels like a gift. It makes me part of THAT community, and that is an amazing group of selfless parents and school staff that I’m blessed to be a part of. If you know me, you know that I could, of course, write chapters and chapters about this community and how it rallied around my family when our daughter got diagnosed with cancer (almost three years ago, WHAT?!?). I’ll save that for another post. Suffice it to say, I truly learned the meaning of the word community when the $4i% hit the fan, as people I didn’t even know in this community banded together and raised us up when we were in danger of sinking. During that time, this community felt more like a TRIBE. It still does. At unexpected moments, I will be approached by a complete stranger who will tell me that she has followed my (prolific) Facebook posts about our journey with cancer and that she was inspired by our story. I could go on and on about all the other communities within this community that add joy to my life…from the moms who became friends when our kids were in preschool and even though the kids are now spread out across different elementary schools, seeing them still makes me feel like part of a special family. There are the “dance moms,” moms whose children share a passion for dance at the academy where I am lucky enough to work, and who make me feel blessed every time I go to work to be a part of that community, one that brings the gift of joy and grace and strength to kids through the art of dance. There are the sporty moms, the philanthropic moms, the working moms, the mindful moms, the activist moms…and now as then, I float. I love ALL these groups of moms. I AM these moms. All of them. Why should I pigeonhole myself? I can’t close any discussion about community, though, without mentioning the one community-within-my-community that feeds my soul the most. On Thursday mornings, I skip the gym in favor of strengthening my spirit instead of my body. I go to a group called Moms’ Council, which is held at my church and is a group of about 150 mothers of all ages and generations who come together each week to…commune. Each session has a theme and there are always wonderful speakers to engage the mind, but for me, it’s the community of women that truly feeds my soul. I’ve sat at the same table with the same group of women for three years now, and I can’t describe the feeling of sitting down with them any better than I feel like I can just…breathe. Breathe in a way I can’t anywhere else. These women are my safest of safest places. We can rage, cry, fall apart and emotionally vomit all over each other without judgment and without ever worrying that what we say won’t remain just between us. Because, as outwardly perfect as many of our lives may seem, we’re all dealing with our own burdens, fears and pain. Sometimes, you just can’t carry it alone. Sometimes you need more than your family and faith in God to help with the weight. Sometimes you need…community. And no matter how messy or difficult my life may get, that is one area in which I am incredibly blessed. I am rich in community, and for that I am very, very grateful. A.J. Brown is a mother, wife, friend, sister, daughter, employee, volunteer, taxi driver, gym rat, health nut, lover of wine, travel, books, dessert, cooking, meditation, Buddha statues, and a compulsive throw pillow purchaser. Today’s guest post makes me so happy, in part because I recently got to spend an evening with this friend…in person, after WAY too many years (we have spent more years not seeing each other than we were old the last time we saw each other–yikes!). And because, as long as I’ve known her, this friend has demonstrated through her daily actions how to live creatively. I have watched her practice, keep at it, create, for the years we lived nearby and on social media over the years we’ve lived far away. I can’t wait for y’all to get a glimpse of this talented artist (by the way, she was also the first person I knew who actually said “y’all” and it has stuck with me ever since). When I think of re-create it conjures all sorts of deep aesthetic and art education theories and other related thoughts. Overthinking, no doubt. I am an art teacher. I facilitate creating. I feel blessed that my job is a chance to celebrate the unique and praise the process and growth in students. It’s an amazing thing to see the world from their own framework as they are influenced by nature, their interests, the limits and strengths of the supplies and art medium, art history and cultural awareness promoted in the lesson we are embarking on that given day. It’s a matter of how to be creative, how to be more unique, how to encourage creativity in others that stays with me most of my waking hours. My job is to pull creativity out of students despite their mood, what they had for breakfast and if they got a detention last period or aced a test. Yet, I make more excuses for myself about making ways and time to create. It’s all re-creation and it’s all attempts to transform. While I get to embrace creativity and it’s a natural part of who I am, I find it important to nurture my artistic side and battle with the challenge of making time for me when I’m not busy working and being a single parent. As an art teacher, so often I am creating art samples for my lessons at work and get these little moments to create that benefit my work and benefit me. Yet that doesn’t fulfill me as much as my own personal projects. That has to be very intentional. So how do I translate that to adult life? It should be easy, but it’s not. What I hold to about creating is: it’s all really re-creation. Honestly, it’s all been done before. When I am devoting myself to re-creation, those are some of the most refreshing times for me. Honoring the past by re-creating the symbols that connect the past and present for me are some of the healthiest and rewarding artistic moments I can have. It’s never because I can make it better than the original; it’s because the original makes my life better. When I make a chalk pastel and charcoal blue jay, in no way do I make it better than the original forms in nature, but rather it connects me to a time in life that is gone. So I go back to the same subjects and draw them and paint them and print them, as a measure of preserving memories. One of my favorite subjects to transform in art are blue jays. Losing my mother one month before my son was born left me in a helpless state away from friends and family figuring out parenthood with a spouse working eighteen-hour shifts. I had this sweet bundle to take care of and the awesomeness of that responsibility was terrifying and wonderful. One day, I was feeling very alone as a new mother, wishing my mother was alive so I could pick up the phone and talk to her. As I cried out, I heard an awful squawk over and over again outside my window. I went to the window to find a couple of blue jays chattering right outside. In the two years of living in that duplex in downtown Denver I had never seen blue jays hanging out, nor heard them disrupt my day. It clicked with me immediately that my bird-loving mother had this strange admiration for this grouchy, feisty variety of bird. Her bird feeder would be full of sweet and beautiful smaller birds and charming doves. She loved them all, and had this wonderful patience and love for this colorful, bold and confident bird. She collected bird figurines and spent a long time tracking down a jay. I had often wondered, because most people did not like jays enough to have one in porcelain! So there I was with a newborn, grieving my mother, and these blue jays were calling out. I had to be bold and I had to remember I was not alone. As they squawked at me, I felt my mom was there. Now as I see blue jays flock around my house from time to time, I remember to catch my breath and know her love is with me. I must be bold and press through the challenges of my day. It’s important for to hone in on those subjects that honor the past and celebrate the significant memories. Transforming it to keep it alive and vital in the journey. Honoring the past and re-creating the symbols that connect the past and present for me are some of the healthiest and rewarding artistic moments I can have. 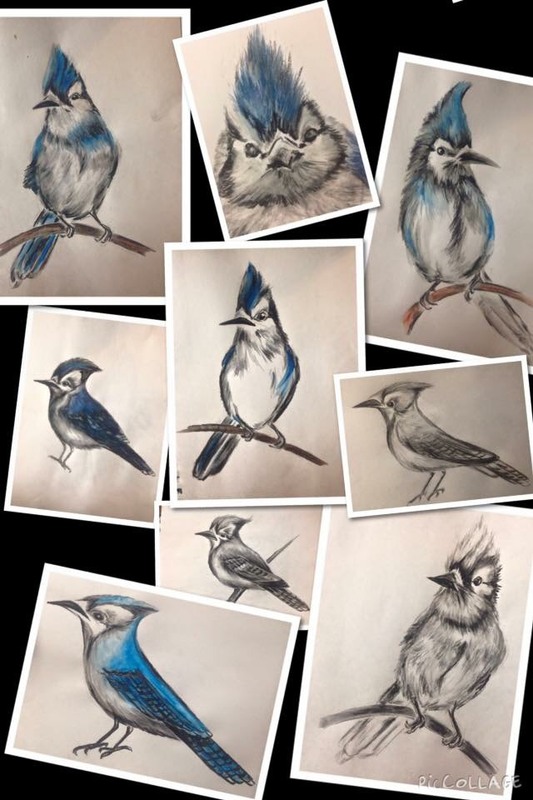 So I go back to the jays and draw them and paint them and print them as a measure of preserving my mother’s presence. The jays nag and nudge me to not dwell on what is missing and to fill life with the things that are loving. Creation, when I am most focused, re-creates feelings that call me back to times when my heart had less scars. Amy Bailey is an artist, art teacher and proud mother of 2. Ah, family vacations…! Since my dad traveled for work, our family didn’t take a lot of vacations. At the other extreme, my husband’s family shared annual adventures, each year a new version of the Great American Road Trip. 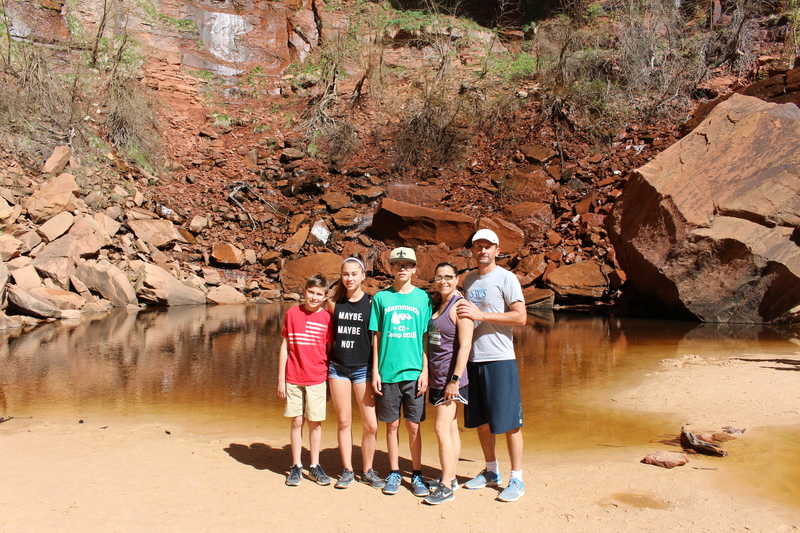 A few years ago we took our kids on a two-week camping road trip–nine states, five national parks and many more state parks, 5,000+ miles–in which we shared experiences much like today’s guest blogger. The power of the family vacation, family recreation, to re-create and re-energize the individual and the family cannot be underestimated. I’m looking forward to our own summer adventures, just days from now. 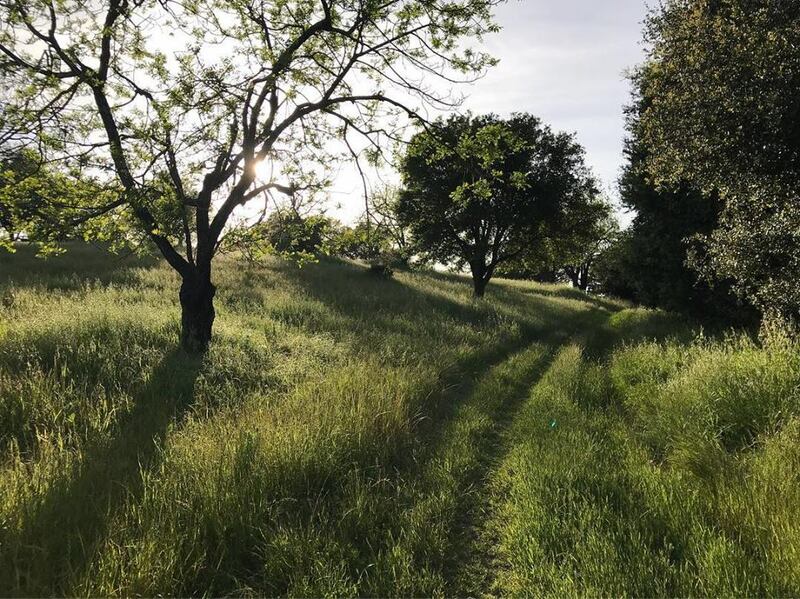 When this year’s guest blog series topic was announced, I felt a little stumped but jumped on board anyway, knowing I would somehow figure something out. I put Create/Recreate in the back of my mind and kept playing with the words, figuring out how it applied to my life and how I could write about it. Our family is the typical busy family. With three teenagers, two of whom are in high school and involved in multiple sports and activities, we are continually on the run. Summer doesn’t provide much of a break, either. It seems we are constantly in and out of the house, rarely getting time to sit down together as a family. We’ve had a rough go of it this year–I had no idea raising teens would be more difficult than parenting toddlers, but that’s the simple truth. The first few months of 2017 were particularly challenging to me as a mother. I had to figure out myself and my children all over again. I felt lost, adrift, untethered. 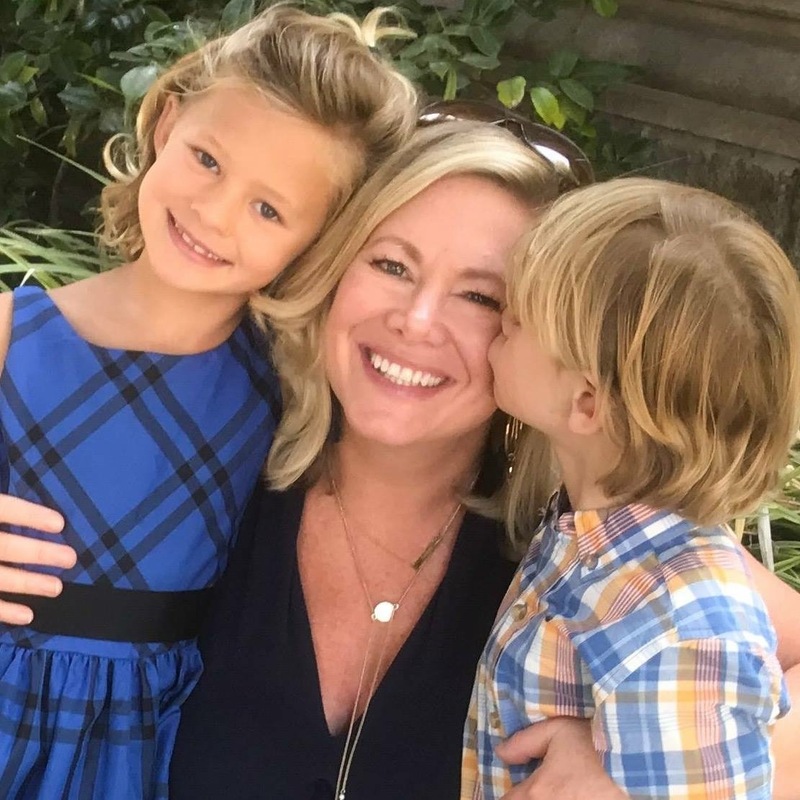 For awhile, I thought I needed to change, become a different mom altogether, but I wasn’t quite sure how to go about it. I muddled along, withdrew, stumbled through days and weeks. I talked to friends who have been through this process already. I read books on parenting, something I haven’t done in years. I cried. I yelled. I gave up. I fought on. Spring Break blessedly arrived in early April. 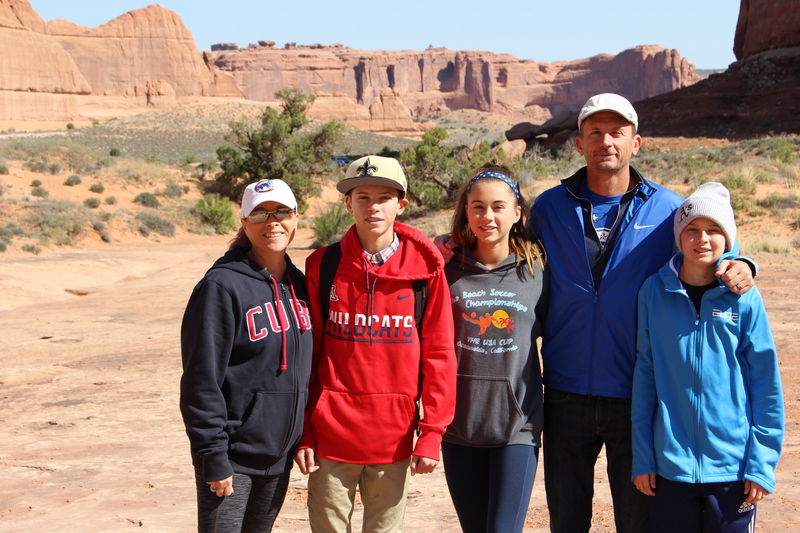 We’d been planning a trip to Utah since fall, so early on a Saturday morning, we loaded the kids into the RV and headed towards Moab–our first stop on this week-long vacation. Originally, other families were going to come along, but it ended up just being the five of us: a blessing, I would realize. 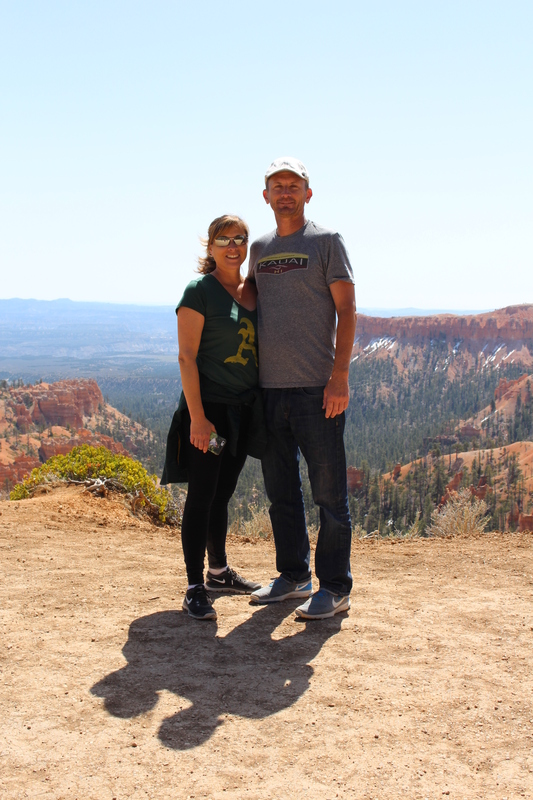 We spent three days at Arches National Park in Moab, then moved on to Bryce Canyon, and finished our week at Zion National Park. Our days were full of hiking and biking. The beauty of Utah exceeded all expectations. We challenged ourselves with scary activities, like climbing up a steep rock and scooting back down (I have a huge fear of heights, particularly of falling off heights). We talked, played board games, cooked together, watched movies every night, made s’mores over fire pits, laughed, and shared experiences. Yes, we ran out of patience with each other at times. We argued some. We got frustrated, and not everything was perfect, but we had an amazing time. My teens–who, even when they are home, usually are in their rooms or have their faces in screens–hung out with us, and (gasp!) seemed to enjoy it. We added to the fabric that is our family story/history. It was a healing week for all of us. We reconnected, re-engaged. I discovered I didn’t need to become a new type of mom just because my kids are entering a new phase. I rediscovered myself. I learned a lot about them. We re-created our family through that week of recreation. We created memories we will carry with us always. We took a LOT of photos during the week, over 500. But I didn’t take all of them myself. Typically behind the lens, on multiple occasions I gave up control of the camera so I’m actually in many of the pictures. I love the perspective gained from seeing what each child chose to photograph; I learned about them just by seeing what they chose to document. Next month, I will take those pictures on a scrapbooking retreat and will memorialize our trip. I am frequently asked why I don’t just do digital books anymore–so many sites make it so easy to create photo books. I love the process of putting glue to paper, deciding on layouts that best show the selected photos. I relive each day, each memory of each trip, as I scrapbook. I love holding the photos in my hands, the feel of the paper, the texture added by ribbon, tape, stickers, letters, and embellishments. I love holding the finished book, and bringing it home to share with my husband and children. I love watching their faces as they turn the pages, and remember those moments from our trips. I love being able to re-create memories through creating those scrapbooks. Recreate, Re-Create, and then Create.. It’s been a year of learning, a continual process. Donna Schweitzer has been married to her husband, Michael, for eighteen years. They reside in San Diego, CA. They have three children, ages 16, 15, and 12, who, along with three dogs and two cats, are affectionately known as The Herd. They travel, watch more sports than is probably healthy, laugh frequently, love much. You can find her blog at threesaherd.com. This Create Challenge began as a challenge to myself – and to all of us – to think outside the box on what it means to create, to be creators, to engage in creative activity. Because Life = creative activity. Because miracles abound in the mundane, the sacred infuses the secular, play does a happy dance at work. 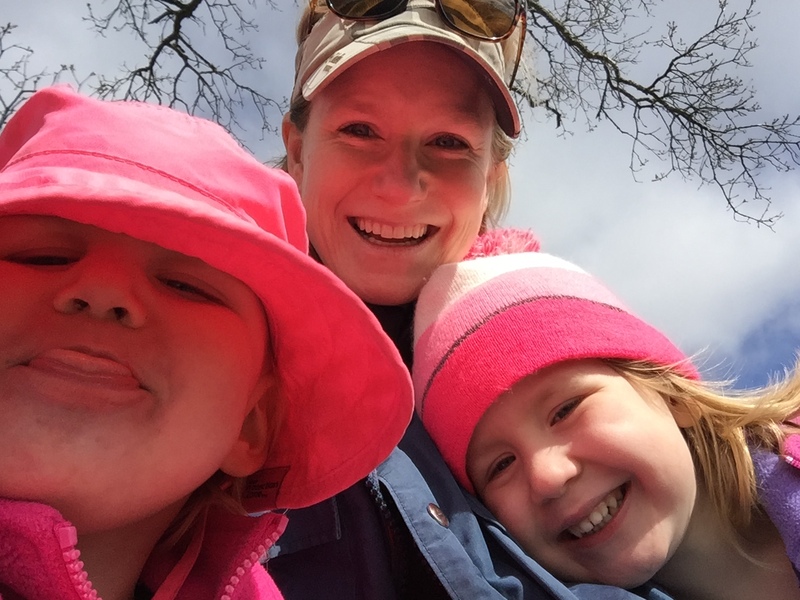 So I absolutely adore that my friend Jessie challenged her own traditional thinking to recognize the Creativity inherent in the everyday moments of full days with energetic littles. Jessie has long been one of my favorite people to laugh and talk with, and I’m so excited to share her story with you. Most days, I’m just aiming to make it through. Forget creativity. To quote Sweet May Brown: Ain’t nobody got time for that. Forget plans. Forget recipes. Forget anything that makes me feel like I’m in control of my own life. I have no idea what I’m doing and I’m literally making stuff up as I go. 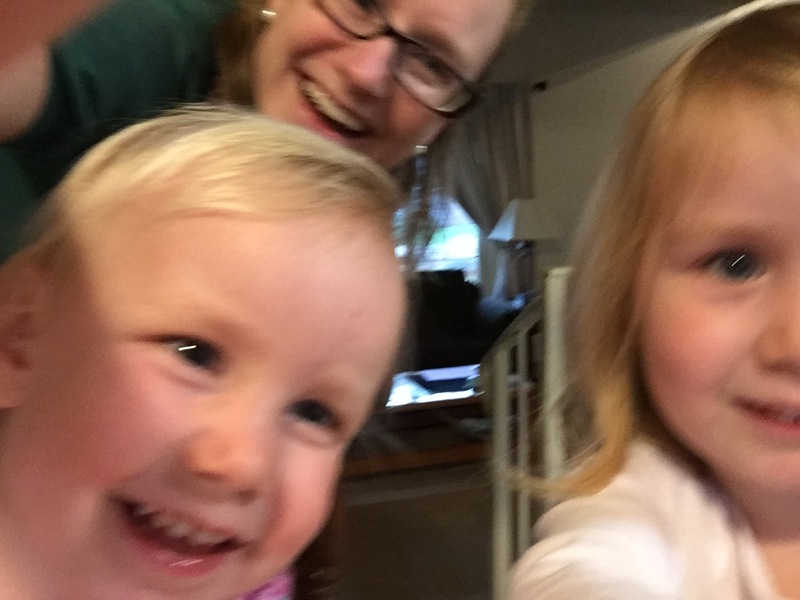 My life feels a lot like this picture: blurry, messy but smiling, and at the same time— fighting with my 4-year-old over who gets to push the button. Not exactly the stuff creativity awards are made of. But here’s the thing: I feel as though God has given me the most amazing gift. Motherhood, He whispered, is the most creative thing you’ve ever done. You are made for this…this selfless, extraordinary, boundless love. My response? 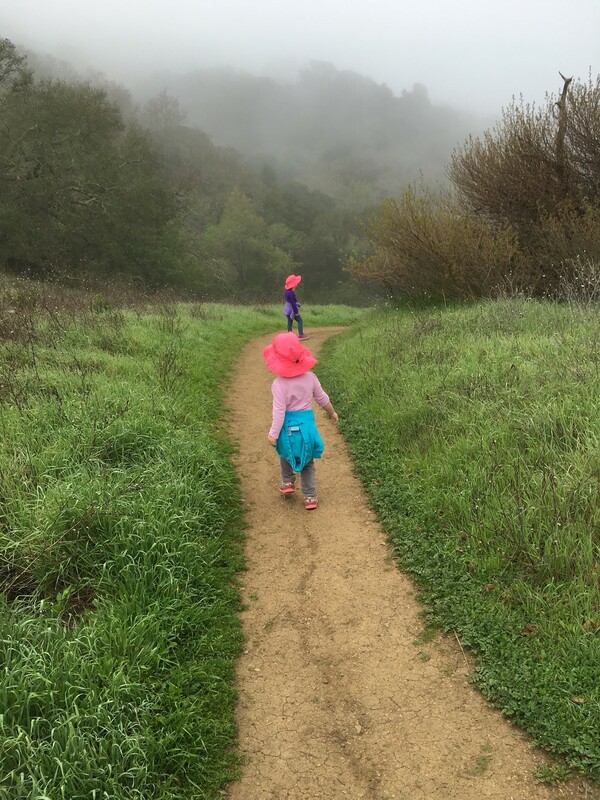 Motherhood (Parenthood) as a creative process? That’s insane. I mean, being creative means you create artistic things! And I absolutely LOVE people who create artistic things. I am, in fact, a lover of those artistic things they create! But I’m not one of them. My friend is a crafty genius. She takes simple things like fabric, or yarn, or unmilled flour, and makes something entirely new out of them. (Julie, you are fantastic). Not only is the end result beautiful, but she legitimately enjoys the process. If you consider yourself creative, then you know that one of the most important ingredients you invest is your precious time. These things my friend makes from scratch do not happen overnight. That’s part of what makes them so valuable: they take time, and effort, and attention, and care. I realized that I had been working with a very literal interpretation of the word “CREATE.” Per Webster’s Dictionary, I understood it to mean: “to produce through imaginative skill.” Like a painting, or a book, or some other tangible form of art. The life she had…well, some days I really miss it. Now, I “create” things like PBJ sandwiches. I “make” rules like “Sometimes Mom gets to poop with the door closed.” Why? “Because sometimes Mommy needs a minute.” I no longer produce through imaginative skill. Motherhood is, absolutely, an ongoing creative act. It is an ever-present process. It takes time, and effort, and attention, and care. Whether intentionally or subliminally, mothers constantly create—schedules, traditions, memories. These little acts during long days will eventually lead to one full life. We do create. * I create meals to feed my family. * I make space for my little girls to play. * I carve out time for adventures. * I force them (lovingly) to eat their vegetables. * I paint tiny fingers and toes. * I teach them when something is not OK.
* I tell stories and read books. Added together, these are not small things. Mothers CREATE a childhood. The parenting stakes are high. The weight of so much responsibility tempts me to totally lose my mind. What if I screw it all up, creating a sociopath, serial killer, or mean girl? The self-doubt is so palpable and, at times, all-consuming. Because, shoot. This mothering thing is HARD. So many days I think: I’m doing this wrong. Or I’m just not good at this. Or worse: My kids might be better off with a different mother. * I create excuses for the kids’ bad behavior and mine. * I lose my temper and yell at my babies. * I let them eat terrible things. * I give into unreasonable requests (who has energy to fight every battle?). * I tune them out. * I choose my phone over giving them my presence. * I park them in front of the TV so I can shower, or cook, or just close my eyes for 20 minutes. * I go back on promises. * I do what is easy instead of what is right. Sigh. That list makes me die a little bit inside. But moms are human. We will never be perfect. Our job as parents is not to create magical childhoods that result in well-adjusted adults. We don’t actually have much control over that. Our job as parents is to love our kids extravagantly. We contort and concoct and misinterpret this role so profoundly. And truth be told, I think it breaks our Creator’s heart. He did not create us to be perfect. He created us with the knowledge that we would fail so epically that we’d need to be rescued. So why do we look at mothering through this lens of unattainable perfection? I’ve been a mom for almost five years (a relative newbie, I grant you), but I’ve been deeply saddened by how negatively most mothers view themselves. Thankfully, there is an upside. Because with God, there always is. This creative, beautiful God who made us—who made our kids—made us for community. We were not meant to do this job (or live this life) by ourselves. Community sustains us and empowers us. It nourishes our soul and gives us the strength to keep going. It gives us a healthier voice to counteract the negative self-talk that swirls around in our minds. 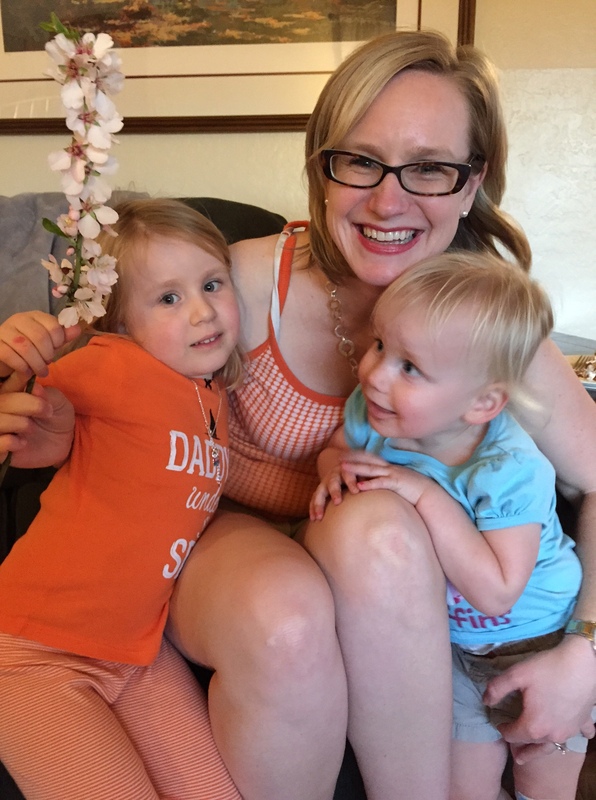 One of the intensely powerful blessings I’ve discovered is the community of other moms. They are the voices of women who cut through the noise and, instead, deliver grace and love. And for me, they come from all over: from church, from work, from my kids’ preschool, from my own family (Grandparents, here’s looking at you). Sometimes they’re from blogs or books of people I don’t know in “real life” but capture my sentiments exactly—Bunmi Laditan, for example, is my spirit animal. Jen Hatmaker, the hilarious genius behind For the Love, I assume wrote that book for me personally (Thanks, Jen. That was really nice of you). The point: there are people on this planet who help me in this intensely creative quest. These women validate my experience. They confirm that my kids will turn out OK; they affirm that I’m doing my best; they remind me that God is in charge; they let me cry when I feel guilty; they laugh with me when my offspring does something entirely preposterous; they love my kids when I find them to be a bit too much; they are a source of encouragement, wisdom, and advice; they remind me to breathe between the waves in this sea of baby vomit and dirty diapers and toddler meltdowns. Most importantly, they remind me I’m not alone. I do, actually, LOVE being a mom. 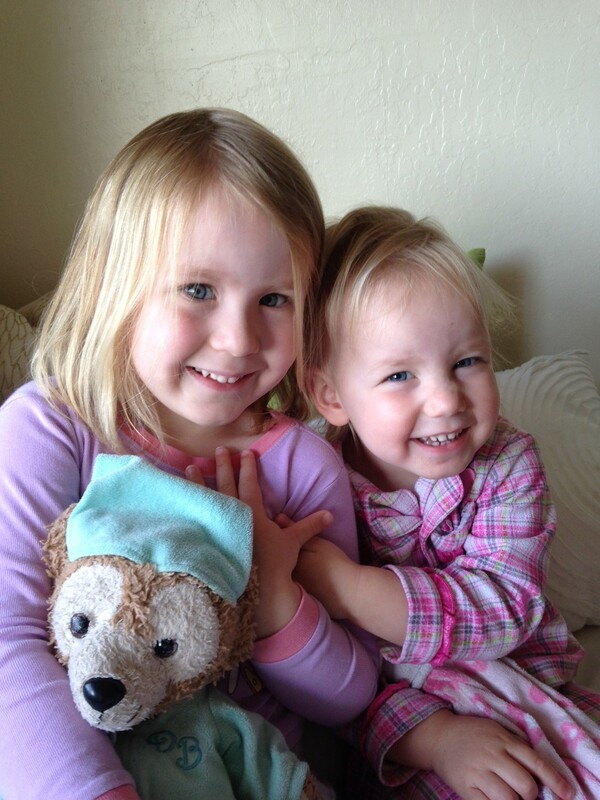 My daughters light up my heart. They are so funny. And they are good kids. We have fun together and I genuinely love being with them. No question, they are my absolute favorite people. But they exhaust and overwhelm me, too. And it’s OK. Speaking from my limited experience, what I do know is this: This mothering thing is an insanely creative process that takes a lifetime to learn. You know how the song goes: He wrote the notes on your heart before it took its first beat. The melody won’t be perfect, and at times you won’t recognize the sound—but let yourself sing it. You are producing through imaginative skill. You are creating something beautiful. Jessie Colburn is wife to Chris, mom to Kate & Charlotte, and a general lover of books, friends, family, and wine (not necessarily in that order). You can usually find her on a hike with her kids, in her kitchen preparing a meal, or near the teen fiction section at her local independent book store. While most of her time is spent raising her babies, she’s also a freelance children’s book editor. Her favorite activities include laughing, eating, reading, and talking.